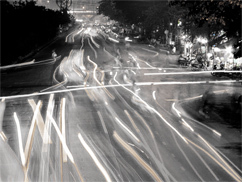 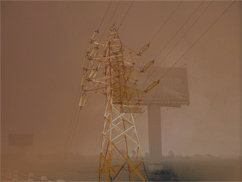 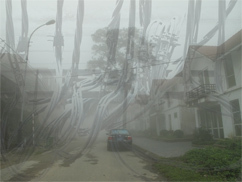 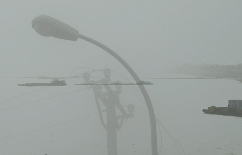 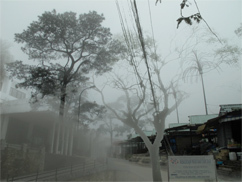 In winter 2009 I went to Hanoi to capture field recordings for a composition entitled 'Intersection'. 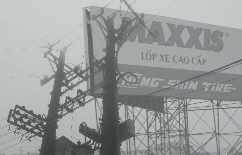 I also took a lot of photos in and around Hanoi. 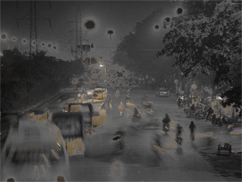 These photos illustrate the hectic noise of the daily city life, but there are also long time exposures taken at night, shots taken in nature or details, that tell a different story; a more introverted, more quiet Vietnam. 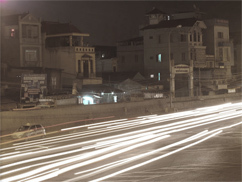 The sounds I was able to record in Hanoi very much match what the images suggest: All kinds of traffic noises, cars, trains, motor cycles, bicycles, church bells, construction sites, electrical hum, but also more distant steady states, drones, sounds that slowly transform over time. 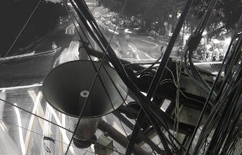 'Traffic' tells about theses sounds. 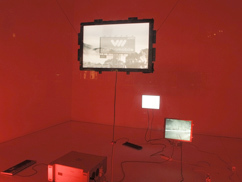 The installation consists of at least three video displays that show slowly fading and overlapping photos. 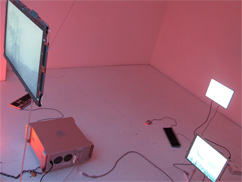 The photos are processed to match in color and look, a very similar process to what I would apply to sound when composing music. 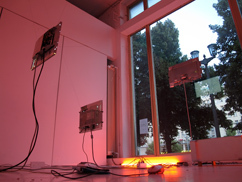 The sequence of the photos is not fixed but is based on probabilities, and the software for creating that sequence runs independently for each display. 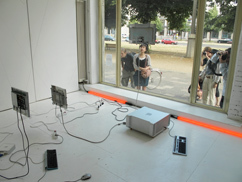 As a result, the installation never repeats, and each moment offers a new and unseen combination of elements. 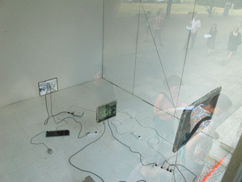 The installation is site specific, it has been developed for the exhibition 'Klang im Namen des Raumes', which takes place in and around Strausberger Platz / Karl Marx Allee in Berlin. 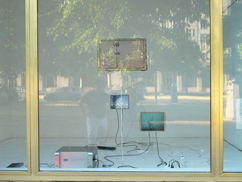 The installation is shown in a shop window facing Karl Marx Allee. 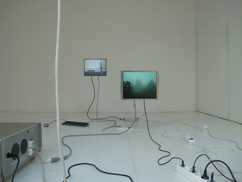 People can only watch it from the outside, and the sonic component is purely imaginary. 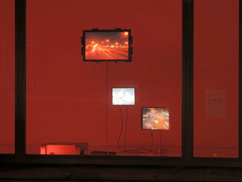 However, the succession of images, the pace of the fades, the choice of motives and colors suggest a sonic structure, timbre, rhythm, development. 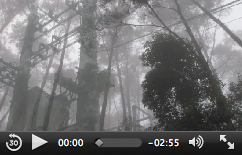 Video: click on image for a short, low resolution preview. 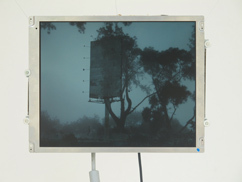 The transitions between the images take five times longer in the installation than in that clip. 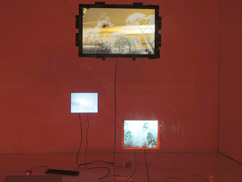 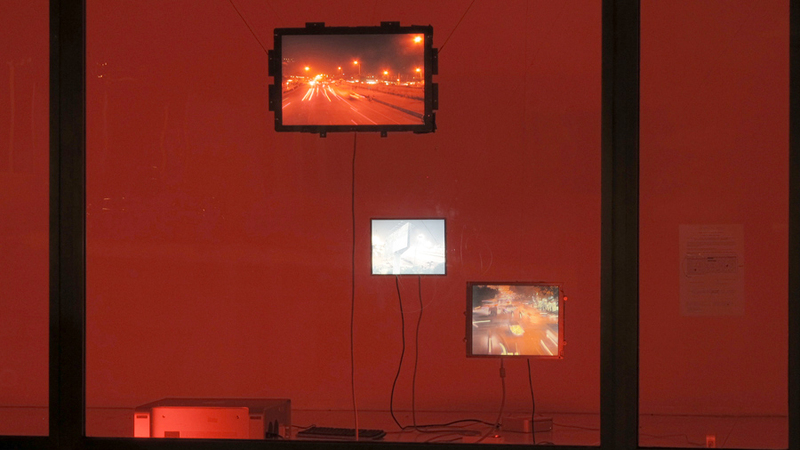 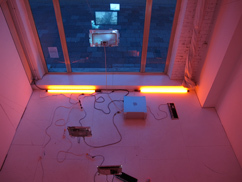 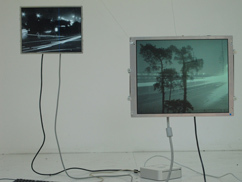 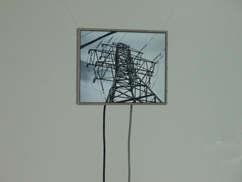 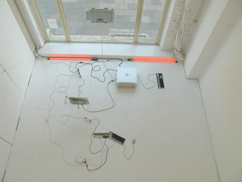 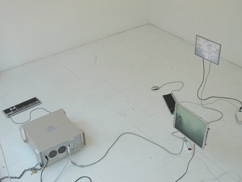 The image processing software I wrote for Traffic and the visual aesthetic of dismantled TFT displays later became the basis for the installation Transition Machine, exhibited in 2011 at Fargfabriken, Stockholm.